Rodney McColloch joined Moore Ingram Johnson & Steele in 1996 and is currently a partner in the firm’s Litigation Department. His legal fields of concentration are in workers’ compensation defense, general insurance defense, insurance coverage disputes, and subrogation litigation. Born in Bellefontaine, Ohio, June 6, 1967, Rodney received his B.A. and J.D. from the University of Georgia. 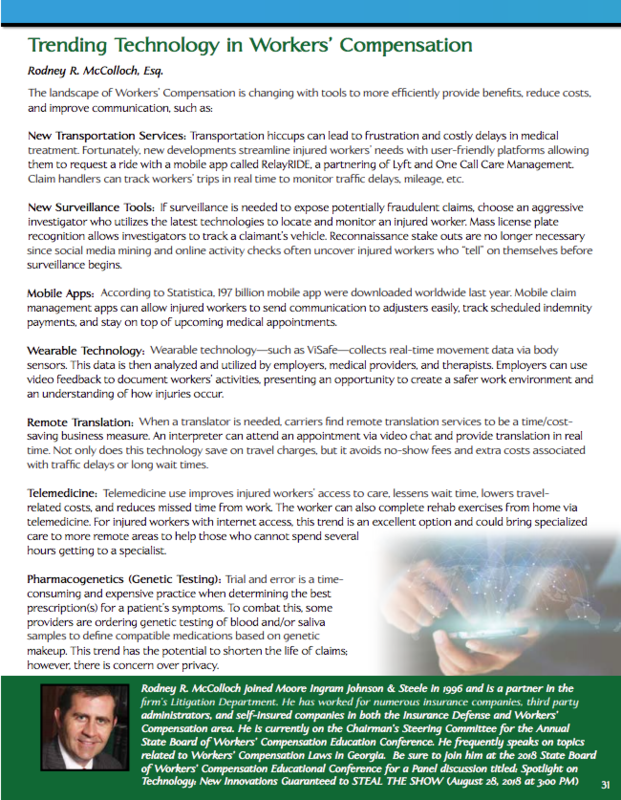 He has worked for numerous insurance companies, third party administrators, and self-insured companies in both the Insurance Defense and Workers’ Compensation area. He is a member of the Cobb County Bar Association and a member of the Workers’ Compensation Section of the State Bar of Georgia. 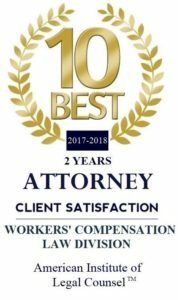 Since 2005, he has been recognized with the Rising Star Award for Top Georgia Lawyers in the area of Workers Compensation. He has also served on the State Board of Workers’ Compensation Rules Committee and is currently on the Chairman’s Steering Committee for the Annual State Board of Workers’ Compensation Education Conference. 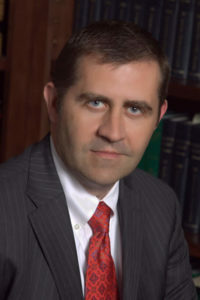 He frequently speaks on topics related to Workers’ Compensation Laws in Georgia. Rodney lives in Kennesaw, GA with his wife, Amy, and their three daughters, Maddie, Meagan and Meghan.